Ground beef is a good choice for slow cooker casseroles, stews, chilis, meatloaf, and many other dishes. Most meats can be added to the slow cooker without searing or browning, with the exception of ground meat. Ground beef, in most cases, should be browned in advance for best texture and color. If you use ground beef often, consider browning several pounds and freeze it in 1-pound portions for dishes. You'll have ground beef whenever you need it. From ground beef casseroles and meatloaf to pasta sauces and hearty chili recipes, you're sure to find an excellent recipe from among these family-pleasing ground beef recipes for the slow cooker. The combination of ground beef and gravy, corn, cheese, and hash browns make a wonderful layered slow cooker dish. Ground beef and pepperoni get together in this delicious slow cooker pasta meal. The meaty sauce is combined with the cooked pasta and mozzarella and Parmesan cheeses. Finish the casserole in the oven if you prefer. These incredible sweet and sour meatballs are simmered with an easy homemade Asian-style sauce. Peppers and pineapple chunks add to the texture and flavor. Serve these meatballs with hot boiled rice. This very easy hearty chili will quickly become a family favorite. Even the pickiest eaters will love this delicious chili. This easy meatloaf is as versatile as it is easy. Top it off with barbecue sauce or ketchup just before it's done. These fabulous cabbage rolls can be cooked in the slow cooker or on the stovetop. Freeze the head of cabbage overnight for easy peeling. For an even easier preparation, you might like this crock pot beef and cabbage dinner. This tater tot casserole is a one dish meal that kids love! If your oven isn't an option, cook it in the slow cooker. Take it along to a potluck! This sloppy mixture of ground beef and barbecue sauce makes a fabulous family lunch or dinner dish. This easy slow cooker chili mac is made with taco seasoning, corn, beans, and ground beef. Add a garnish of sliced green onions, shredded cheese, or cilantro if you like. This classic hot dog sauce is made with a variety of seasonings. Make a double or triple batch for tailgating or a home game party. Tex-Mex flavors are featured in this wonderful ground beef taco dish. Seasonings include chili powder, cumin, olives, and optional jalapeno chile peppers. This "Chinese pie" is not an Asian dish. It's actually a French Canadian/New England casserole. 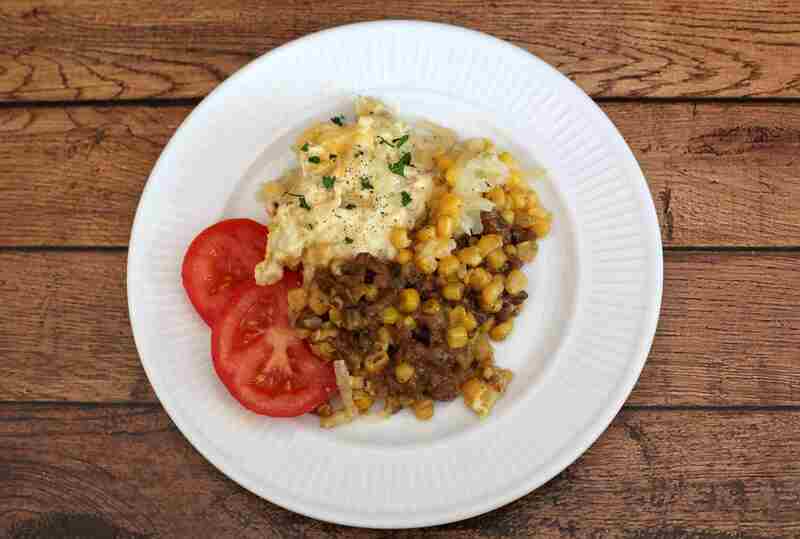 The dish is made with layers of potatoes, browned ground beef, and corn. Technically, the ground beef makes this a cottage pie. If you want a more authentic shepherd's pie, use ground lamb in the dish. A combination of Italian sausage and ground beef makes this a hearty, pasta sauce. The slow cooker brings out the great flavors in the sauce. Add extra crushed red pepper for a spicier sauce. This recipe for Swedish meatballs is all about convenience. Frozen meatballs are cooked with prepared gravy, sour cream, and spices. Serve these easy meatballs with hot cooked noodles, mashed potatoes, or creamed cauliflower. American chop suey is a comfort food to many, and this version is super easy to prepare and cook in the slow cooker. It's an excellent busy day meal, and it's always a hit. Bake a pan of cornbread or cornbread muffins to go with the ridiculously easy beef and bean dish. The browned ground beef and bacon are slow cooked to perfection with canned beans and chopped veggies. Yes, You Can Cook Lasagna in the Slow Cooker! This slow cooker lasagna is a classic layered combination of lasagna noodles, ground beef, spaghetti sauce, and three cheeses. This recipe comes with many possible variations, including homemade sauce suggestions and seasonings. Corn or flour tortillas are layered with browned ground beef and beans, along with cheese and seasonings. Top servings with some salsa or sour cream. Ground beef, sausage, shredded or diced carrots, celery, and tomatoes go into this wonderful homemade Italian-style sauce. Some dry red wine may be added to the sauce along with Parmesan cheese. If you aren't a fan of beans in your chili, this ground beef chili is an excellent choice. These meatballs will be the star of the party. They're great for holiday parties and game day gatherings.